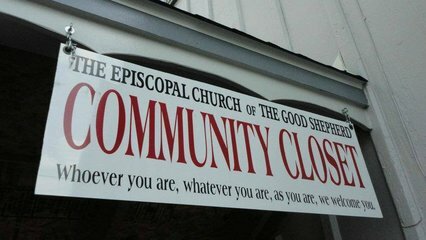 Tuesdays 2 to 5 p.m.
We offer free clothing to anyone in need. Our closet is full to bursting with seasonal items. 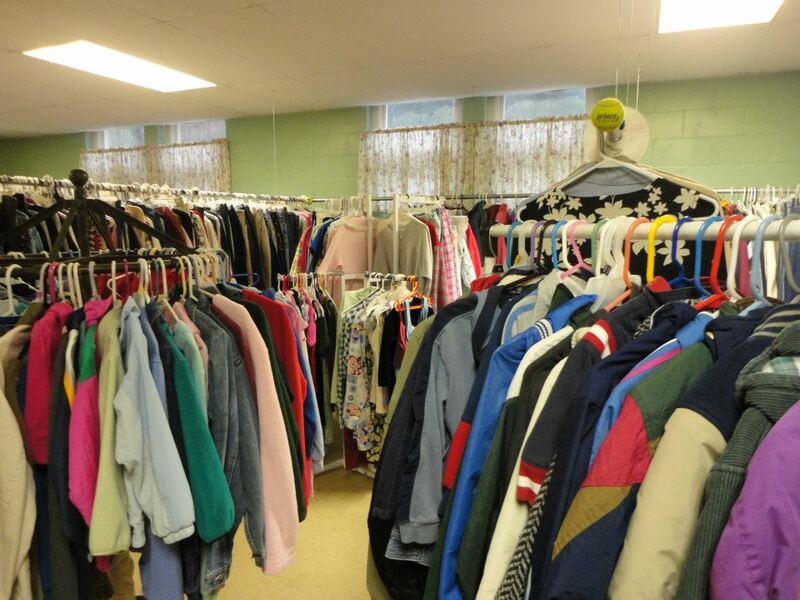 Come and see our racks and racks of gently used clothes in good condition. Try them on and take them home. We also have baby items! Are you expecting a new baby or suddenly find yourself caring for an infant? We can help you get basic layette supplies, including clothes, diapers, blankets and hygiene products. Call 269-673-2254, and leave a message so we can contact you. 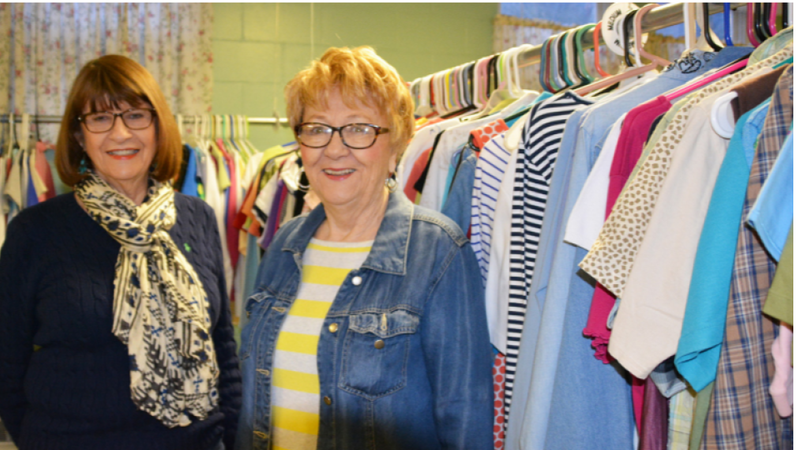 Gently used clothing may be dropped off during closet hours, donations are greatly appreciated. Volunteers are always welcome. Please contact us if you'd like to serve. On January 2016 we were honored by the Allegan Chamber of Commerce. Find the article here. 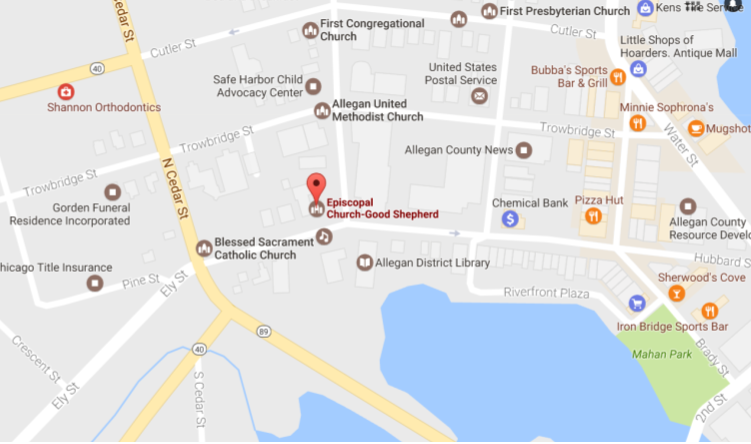 We were also featured in Episcopal Diocese of Western Michigan's newsletter. Read about us here. Mondays, Wednesdays and Fridays -- noon to 1 p.m.
Tuesdays -- 2 to 5 p.m.
Click for Community Closet information. Click for more information about our community.